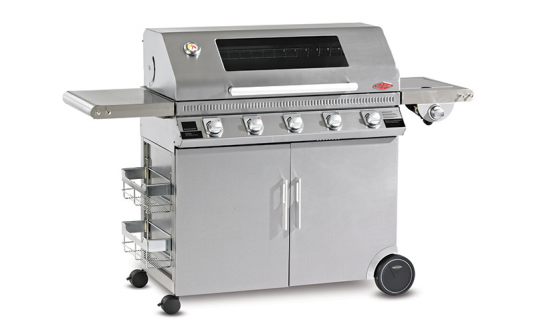 The Beefeater Discovery 1100S 5 Burner Mobile BBQ is a great value bbq made from quality stainless steel construction. Vaporizer Grid & Reflector System With Anti-Flare Technology – reduces flare ups and gas usage for faster cooking! Durable Rust Resistant Cast Iron Cooktop – made to last!